When the Tesla Model 3 made its debut in 2016, it represented a turning point for the company. It was an electric car at an affordable price, something many people wanted. When production of the vehicle started last year, it became a headache for Tesla CEO Elon Musk, but that pain may have come to an end on Saturday. In early June, Musk spoke at the Tesla shareholder meeting about the Model 3 production. He implemented a goal of producing 5,000 Model 3s per week with the deadline being June 30, or the end of the second quarter, to deliver a Tesla Model 3 delivery report. 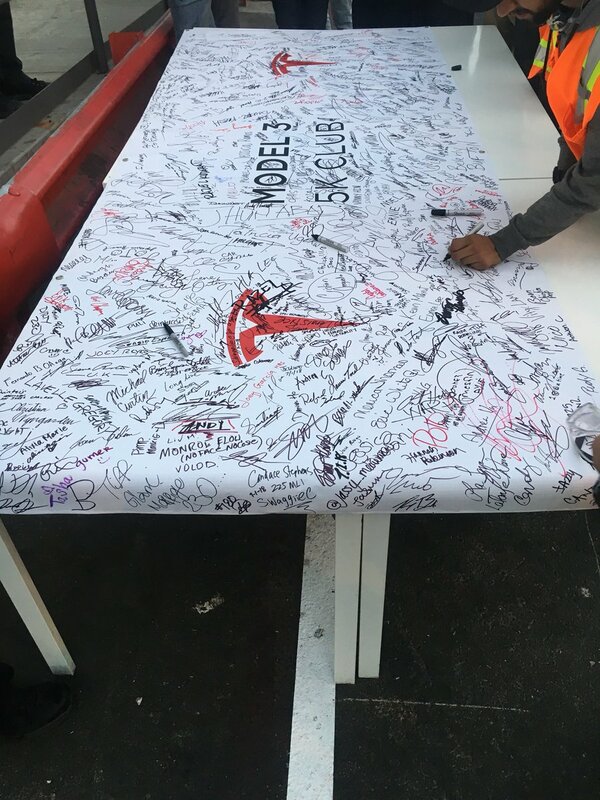 In the final days of June, Musk gave multiple hints that the company met its goal and a picture from an employee may confirm it. Meeting the goal of 5,000 Model 3s per week is a major milestone for Tesla if it does actually reach it. Financial analysts and short sellers doubted the number could be met in the week leading up to the release of the report. In order to pick up its production numbers in June, Telsa put up a super-sized tent outside of the Fremont, California factory where another production line was built. The official Tesla Model 3 delivery report will come out either Monday or Tuesday. After its release, the company could give an updated plan for its future or it may wait until its second-quarter earnings announcement, which will possibly be on August 1. Aside from producing more Model 3s, Tesla will also begin production of the dual motor performance edition of the electric car. Then there are also its vehicles to produce such as the Tesla Roadster, Tesla Semi, and eventually, the Tesla Pickup Truck.